As the artistic director of Dancin’ Unlimited, a professional jazz dance company based in Northern Virginia, Marilyn York has been bringing first class jazz dance to the Washington Metropolitan Area for over thirty years. Her experiences as an artistic director, performer, instructor and choreographer attest to her unwavering resolve. With her keen attention to detail and no-nonsense management style, York devotes herself to improving the quality and visibility of jazz dance. Since its beginnings in traditional African dance, jazz dance has evolved to include everything from the lively Lindy Hop and the sleek stylings of musical theater legend Bob Fosse, to today’s hip-hop. Classic jazz technique borrows heavily from the fluid lines of ballet, yet features broad, grounded movements and percussive music. York’s interest in dance was first sparked by the charm of Gene Kelly films. She began taking dance classes at age eleven in a satellite studio of the Washington Ballet. Six years later by pure chance she participated in a jazz dance master class taught by choreographer Wally Saunders, and she was hooked. York began looking for “an outlet to perform jazz professionally,” she explains “so I surrounded myself with advanced jazz dancers who shared a similar passion.” Eventually she became the director of the Dance Theatre Company of Northern Virginia, which has become Dancin’ Unlimited. Dancin’ Unlimited originally specialized in cabaret style concerts. 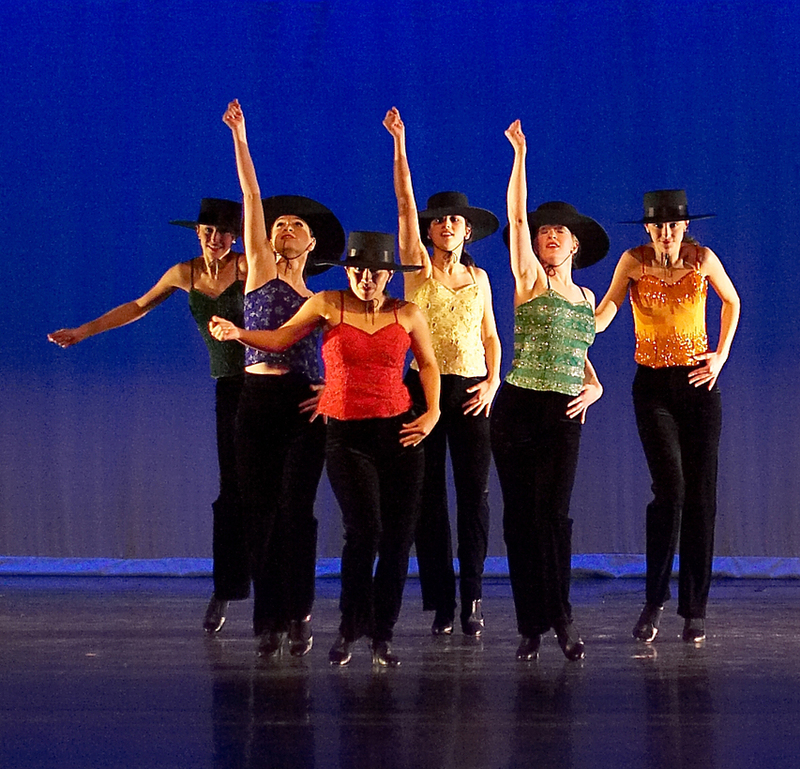 In 1986, with the help of a $2,000 contribution from Stein’s Theatrical and Dance Supply in Arlington, York organized the first Jazz & Tap Dance Festival. The upcoming Festival, March 5-6, 2011, at the Northern Virginia Community College Annandale Theatre will mark 25 years of crowd-pleasing performances. York wants people to experience the power and passion of our indigenous American dance style. She and her Dancin’ Unlimited dancers always have people moving in their seats, tapping and humming, uplifted and inspired. Marilyn York is an artistic treasure of Northern Virginia.